Houston Water Softener-Texas Master Plumber-Call For A FREE Estimate! A water softener is essential if you live in the Houston area. Water Softeners take hard Houston water and convert it to soft water. But many people have hard water issues and do not realize that their are some long-term costs associated with having hard water. Buying a water softener in Houston is as common as buying an air conditioner in Houston. If you have lived in Houston for any length of time you realize that you need both. There are many reviews on various kinds of water softeners but we recommend salt-free water softeners since they don’t use chemicals which leave that slimy feeling on you which is often described as the “I can’t seem to get all the soap off of me” feeling. In particular, we recommend the Pelican Water Softening system as we proudly carry their products. Water softeners do several things to the hard Houston water. Houston water softeners reduce mineral deposites that are associated with scale build up on showers, tubs, and toilets. The smell that is often associated with hard water comes from minerals that water softeners reduce. And we could go on and on about the health benefits of having a Houston water softener. A good water softener should be simple to install and not require a degree from MIT to put together. Here are some ways that a water softener can help your budget. Apart from you home itself the most important investment you will make in your home are your appliances. It is important to protect those investments from the damaging effects that hard water can have on your appliance and be strategic in saving money on costly repairs! Since repairs can cost you hundreds or even thousands of dollars every year due to hard water damage it would make perfect sense to get rid of the source of hard water or prevent it from making it into your water supply. By adding a water softener to your Houston water you will be protecting your appliances which will keep them running longer and more efficiently. The average cost of repairing your ice maker in the fridge from hard water damage is about $230! A hot water heater, if protected from hard water damage can save you up to $30 a month in water heating by keeping scale and residual buildup off the heating element, making it more efficient. If you do not protect your water heater from the effects of hard water, your water heater could cost you $300-$1,000 to replace! Not to mention the fact that you also save the yearly plumber visits for clogged shower heads, minor appliance repairs or clogged pipes which can save you up to $500 or more every year! Texas Master Plumber has a system that is designed to protect your water up to 75 grains per gallon of hardness. Other systems on the market that are similar require replacement every 5 years and have grain ratings of only 25 grains (less than 1,200 mg/L)! This translates into savings. If you have Houston water we can save you over $800 in normal yearly maintenance the first year our water softeners are in service, and an additional $500 -$1000 dollars in damages to your appliances! Anyone who takes care of a home realizes that it is a full time job just to keep a house clean and in order. How much is your time worth? Texas Master Plumber offers a Houston Water Softener solution that prevents the minerals in your water from etching your glass and fixtures and prevents the minerals from sticking to surfaces surfaces and corroding them. The number one expense and time consuming job of cleaning is the removal of hard water scale from toilets, fixtures, shower heads and sinks. A study by Ohio State University determined that it takes an average of nearly 4 hours per house cleaning hard water scale. When softened water was made available, cleaning time was cut by 40%. Over the course of a year, this would save you more than 10 8-hour work days (80 hours). That is a lot of scale and a lot of time!The average Houstonian spends up to $45/month in cleaning supplies and harsh chemicals. But let’s say we are way off on that number and det’s be really conservative and say we save only 20% on cleaning time and supplies. If your time is worth $10/hour (and its probably worth more) we are saving you $42 a month cleaning hard water off your fixtures and in cleaning products! That’s 40 hours saved and $504 a year in savings! Depending on what size detergent container you use and whether you use the powder or the liquid Houstonians spend on average $10 for a container of detergent for washing clothes. It seems like it takes more and more detergent to get the job done. Do you Eever wonder why you go through so much soap when doing your laundry? Hard water prevents many soaps from properly creating soap suds or lathering and thus requires more soap and soaps containing salts and chemicals to counteract the hard water. These kinds of soaps are harsh on your skin and cause your coloring in your clothing to dull more rapidly. The extra soap also costs you money every month, on average we spend $20/month on soaps. With the Houston Water Softening solution from Texas Master Plumber installed in your home, you can reduce your soap usage and use more natural soaps with less salts and chemicals. So what’s our average total savings so far? Around $1500 savings in one year from simply adding a Houston Water Softener solution from Texas Master plumber. 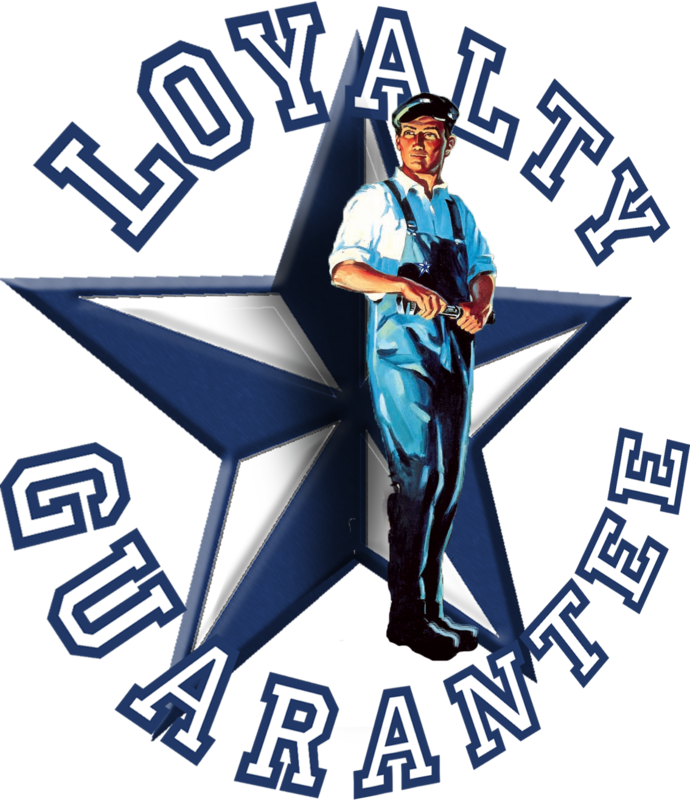 With an unlimited lifespan on the this type of system, you will have paid for your Houston water softener solution from Texas Master Plumber within the first year and it will pay you every year thereafter.